Here’s one of the more elegant of the recent crop of op-eds encouraging Secretary of the Interior Ryan Zinke to appeal a recent court decision to restore oil and gas leases to the Badger-Two Medicine region . . .
Today, Native Americans serve in the U.S. military at the highest rate per capita of any ethnic or cultural population, and Montana is home to more than 6,000 tribal veterans, many of them Blackfeet. As a Pikuni (or Blackfeet) warrior and veteran of the United States Marines, it is my duty and obligation to protect my country and lands, as well as to uphold the tribe’s traditions and culture while safeguarding its natural resources for future generations. Recently a Washington, D.C. District Court reversed the government’s decision to cancel decades-old leases in the Badger-Two Medicine, an area sacred to the Blackfeet and the source of clean water for our Tribe. Once again, we find ourselves fighting against the threat of oil and gas development. As Veterans Day approaches, I am joined by the Blackfeet men and women of the Armed Forces in asking Secretary of Interior Ryan Zinke to defend the Badger-Two Medicine. Here’s a well-researched piece by New Yorker staff writer Carolyn Kormann discussing U.S. Secretary of the Interior Ryan ZInke’s efforts to open up more public lands for resource development. Kudos to Debo Powers for spotting this one . . .
Not long ago, the Bureau of Land Management, an agency within the U.S. Department of the Interior, began distributing “vision cards” to its employees. The front of each card features the B.L.M. logo (a river winding into green foothills); short descriptions of the Bureau’s “vision,” “mission,” and “values”; and an oil rig. On the flip side is a list of “guiding principles,” accompanied by an image of two cowboys riding across a golden plain. Amber Cargile, a B.L.M. spokeswoman, told me that the new cards are meant to reflect the agency’s “multiple-use mission on working landscapes across the West, which includes grazing, energy, timber, mining, recreation, and many other programs.” Individual employees, she added, can opt to wear or display the cards at their own discretion. 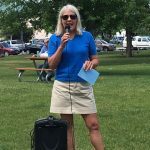 But, according to the advocacy group Public Employees for Environmental Responsibility, which obtained photos of the cards and shared them with the Washington Post, supervisors in at least two B.L.M. field offices have been verbally “advising that employees must clip them to their lanyards.” Some workers, speaking to the Post anonymously, said that they felt they had no choice but to comply. 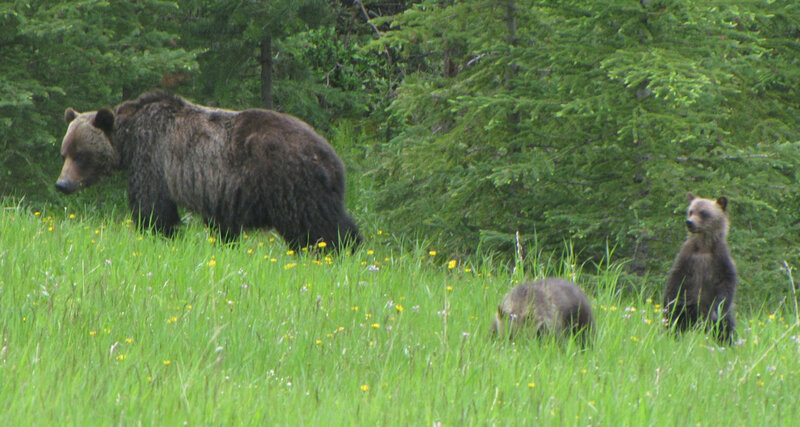 Ending a period of uncertainty, Secretary of the Interior Ryan Zinke announced his support for grizzly bear restoration in the North Cascades . 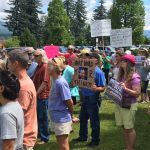 . .
Zinke made the announcement during a visit to North Cascades National Park’s headquarters in Sedro-Woolley, about 75 miles (121 kilometers) north of Seattle. 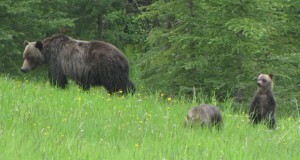 The Department of the Interior announced in 2014 that it would consider relocating grizzlies to aid their recovery in the Cascades. 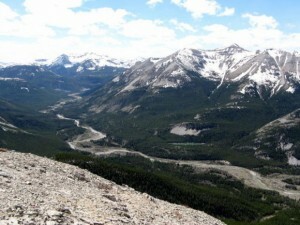 An environmental review has been underway, but in recent months there have been questions about whether it would continue. Zinke made clear it would, with a formal decision expected by the end of the year. Well now, this is interesting. Secretary of the Interior Ryan Zinke reportedly suggested the Badger-Two Medicine area be given national monument status . . .
Back in March, nine days into his new post as Interior Department secretary, Ryan Zinke accepted a blessing ceremony from Blackfeet tribal leaders, and heard their request to protect the Badger-Two Medicine area next to their reservation by Glacier National Park. On Sunday, a leaked draft of Zinke’s report to President Donald Trump on revisions to national monument indicates he proposes to grant that wish. the home of assassinated civil rights leader Medgar Evers in Jackson, Mississippi. And No. 3? The Badger-Two Medicine area. Looks like at least four national monuments will be targeted for reductions . . . Interior Secretary Ryan Zinke’s recommendation to shrink four sprawling national monuments in the U.S. West jeopardizes protections for ancient cliff dwellings, scenic canyons and habitat for endangered fish and threatened Mojave desert tortoises. The recommendations, revealed in a leaked memo submitted to the White House, would scale back two huge Utah monuments – Bears Ears and Grand Staircase-Escalante – along with Nevada’s Gold Butte and Oregon’s Cascade-Siskiyou. The monuments encompass an area larger than Connecticut and were created by Democratic presidents under a century-old law. Three were created or expanded in President Barack Obama’s final weeks in office. There may be a few (cough) adjustments, though . . . Interior Secretary Ryan Zinke announced Thursday he won’t seek to rescind any national monuments carved from the wilderness and oceans by past presidents. But he said he will press for some boundary changes and left open the possibility of allowing drilling, mining or other industries on the sites. If Trump adopts Zinke’s recommendations, it could ease some of the worst fears of his opponents, who warn that vast public lands and marine areas could be stripped of federal protection. 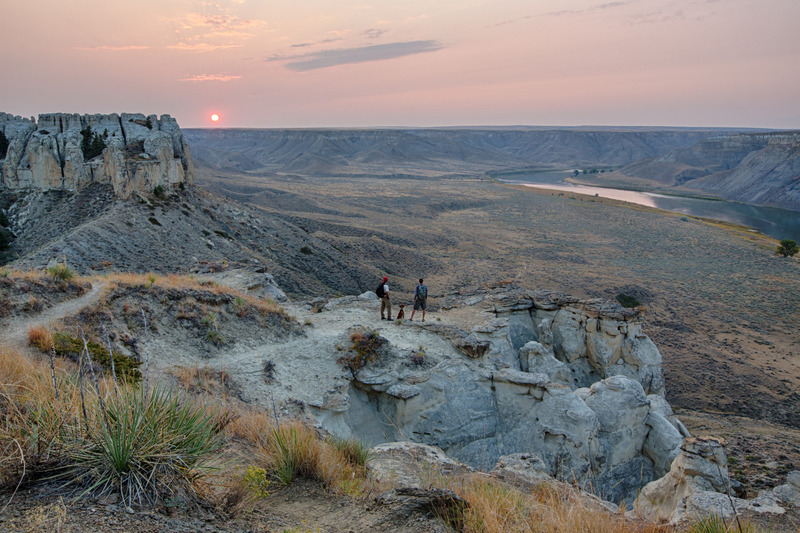 The Upper Missouri River Breaks National Monument is officially on the “do not touch” list . . . Interior Secretary Ryan Zinke says he will not recommend changes to Montana’s Upper Missouri River Breaks National Monument as he continues to review national monuments for possible elimination or reduction. Zinke says the monument is one of the only free-flowing areas of the Missouri that remains as explorers Lewis and Clark saw it more than 200 years ago. Montana Gov. Steve Bullock had asked Zinke to keep the Breaks monument unchanged as he reviews 27 national monuments designated by previous presidents. President Donald Trump ordered the review, calling many monument designations land grabs by the federal government. 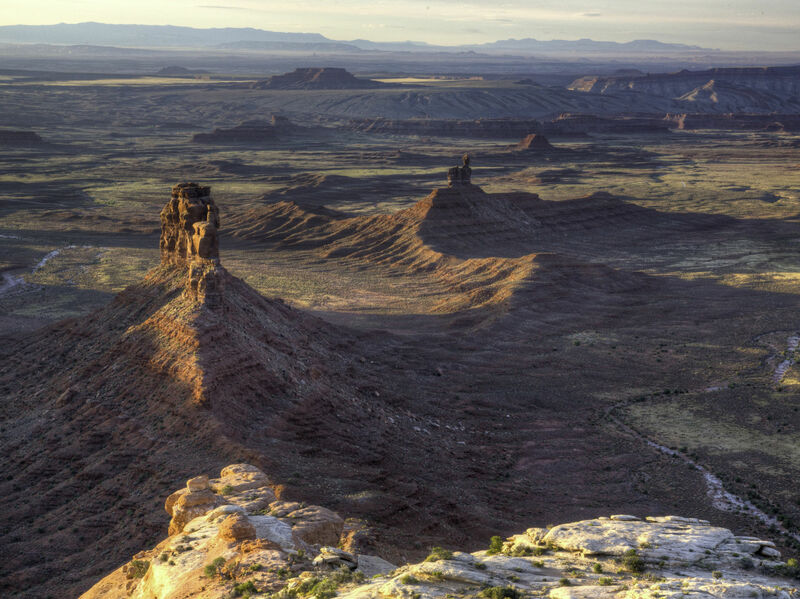 Monument designations protect federal land from energy development and other activities. It looks like the Upper Missouri Breaks National Monument is going to be safe from federal “review” . . . Cutting off public campaigns by proponents and opponents, U.S. Interior Secretary Ryan Zinke said Tuesday he plans to recommend the Upper Missouri Breaks retain its status as a national monument, effectively taking it off the list of monuments nationwide that could lose their status. “My likely recommendation will be to leave the Missouri Breaks as is,” Zinke said. “I think it’s settled to a degree that I would rather not open up a wound that has been healed.” Zinke made his remarks at a press conference following his appearance at the Western Governors’ Association meeting. The announcement shocked people on both sides of the issue. 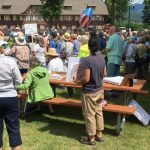 Last Tuesday, a number of North Fork Preservation Association members participated in a rally to support national monuments at the Western Governors’ Association meeting in Whitefish. NFPA President Debo Powers addressed the crowd. The Daily Inter Lake did a pretty good job of covering the event. This is a direct, to-the-point statement just released by Montana Gov. Steve Bullock concerning efforts to “review” the Upper Missouri River Breaks National Monument . . .
Today, I sent a letter to Secretary of the Interior Ryan Zinke urging that no changes be made to the designation of the Upper Missouri River Breaks National Monument. In May, Secretary Zinke began a review of over 20 National Monuments from around the country pursuant to an Executive Order issued by President Donald Trump. The Missouri River Breaks was one of the monuments designated for review. As part of this process, Secretary Zinke reached out to me for my comments and recommendations regarding the Missouri Breaks National Monument. The Missouri River Breaks offers world-class, once-in-a-lifetime public lands hunting opportunities for trophy mule-deer, elk, and bighorn sheep. Opportunities like these attract over 130,000 visitors to the area every year and provide an annual influx of $10 million to the local economy. The local economy has come to depend on this. In addition to attracting more visitors, the region has sustained growth in many measures of local economic health and prosperity—including a 23 percent increase in real capita income. Finally, the Missouri Breaks has remained largely unchanged for over 200 years. The monument designation helps keep it that way for our children and grandchildren to share. For these reasons, I strongly recommended that no changes in the size or to the designation of the Monument should be made. Places like the Missouri River Breaks are important to Montanans and play a significant role in our way of life. These public lands are our heritage and support an unmatched quality of life. I will continue to fight to preserve public access to our lands, rivers, and streams and I oppose any effort that jeopardizes or calls into question the future of the Missouri River Breaks or any other part of our public lands heritage. As Secretary Zinke continues his review of the Missouri River Breaks National Monument designation, I urge you to reach out to him HERE to share your own comments and experiences within the area.